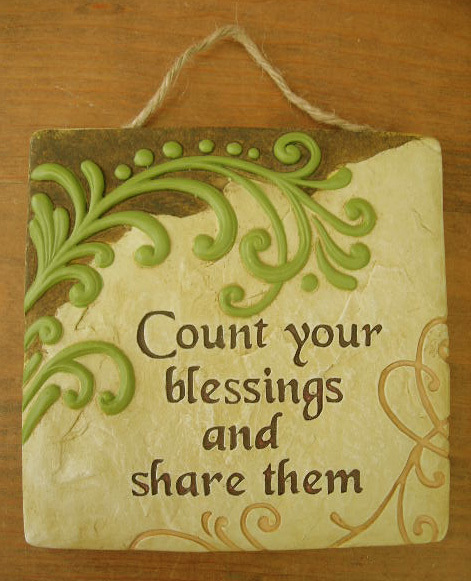 This Ganz Count your Blessings and Share Them Inspirational Wall Plaque looks great on an interior home wall or garden patio wall. It has a jute rope hanger on the back for easy mounting or you could put it on a small plate stand. This Ganz wall plaque is made of sturdy stone resin. It has an Old World Charm look and will work great with any decor.